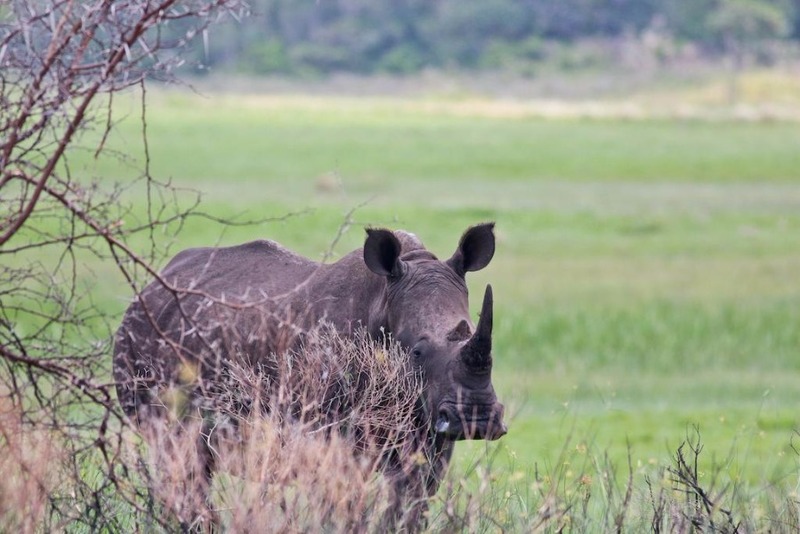 Nestled in the centre of the St Lucia Village, gateway to the iSimangaliso Wetland Park, the Three Star graded Hotel, Elephant Lake INN offer guests conveniently located, well appointed, comfortable accommodation. 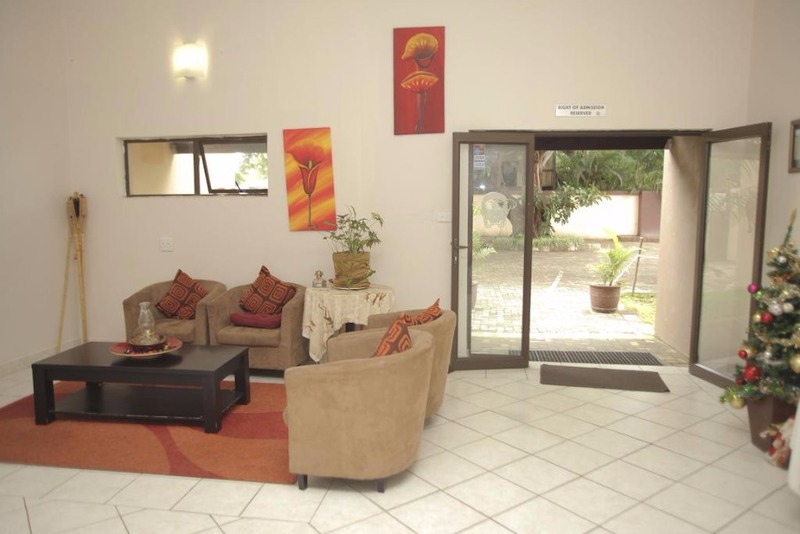 The rooms at the INN is divided between the ground floor, with 16 rooms, all with its private patio overlooking the pool or garden area and the first floor with 18 well appointed rooms.Rooms are all fitted with air conditioners ( cooling only), wall safes, tea/coffee making facilities, 9 channel DSTV and en-suite with shower. 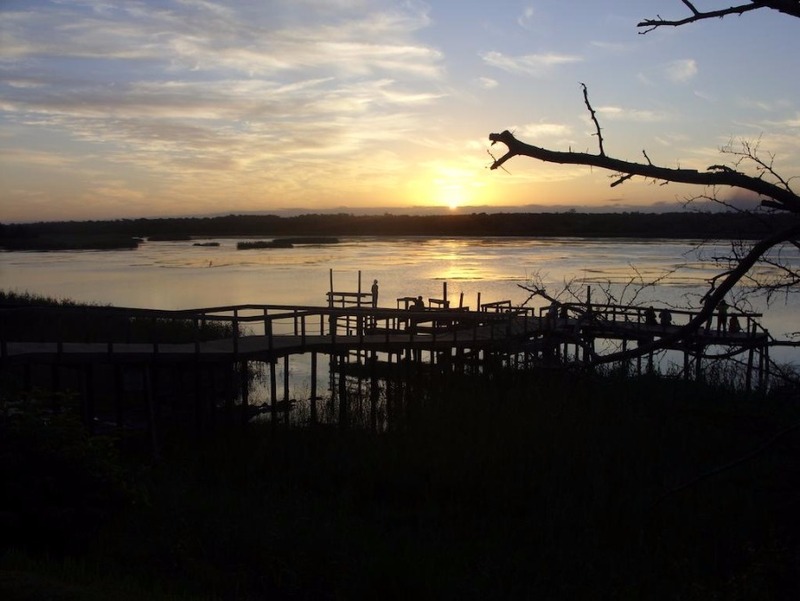 The Elephant Lake Inn is located in the town of St Lucia, Kwa Zulu Natal, surrounded by the iSimangaliso Wetland Park, South Africa’s first World Heritage Site. 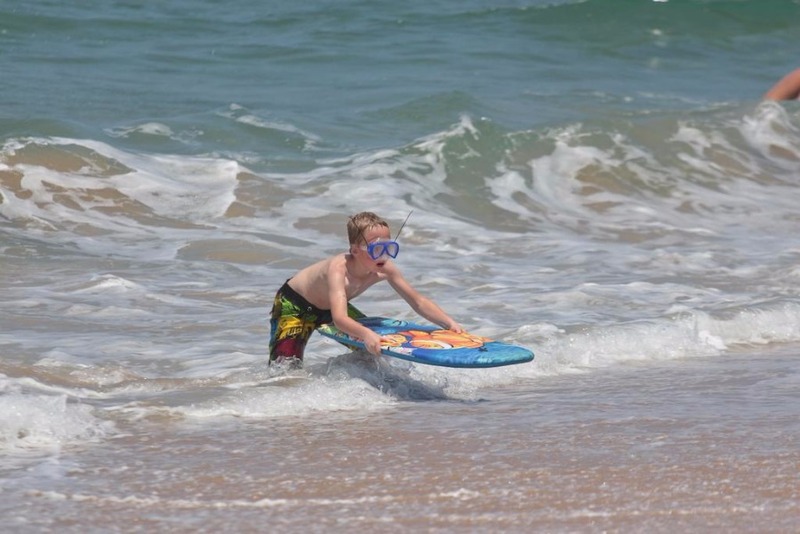 St Lucia is 25km from the main N2 route between Durban and Swaziland, 75 km South from Hluhluwe town and 80 km North of Richards Bay. 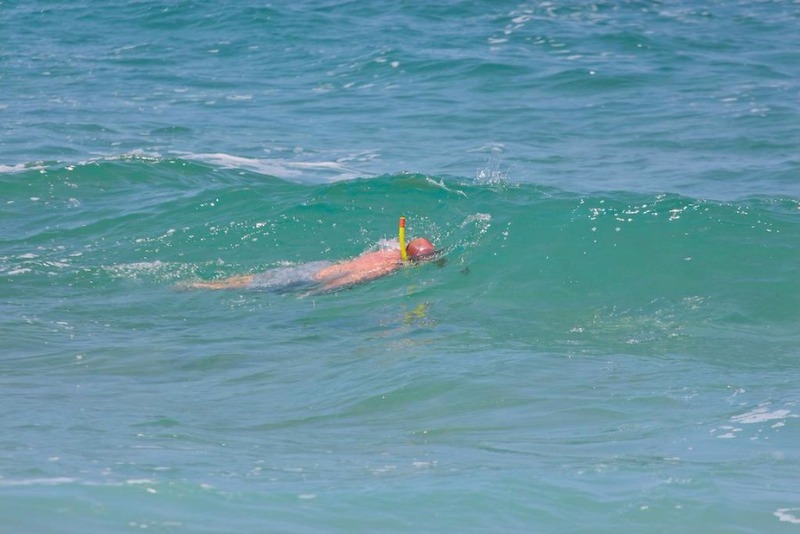 With the ideal location of the Inn, guests have a vast range of activities to choose from, all which could be booked and arranged by the Inn.Guests can also enjoy a day on the unspoilt beaches, swim in the warm waters of the Indian Ocean or just simply stroll through town exploring all the interesting shops, restaurants arts and crafts on offer. 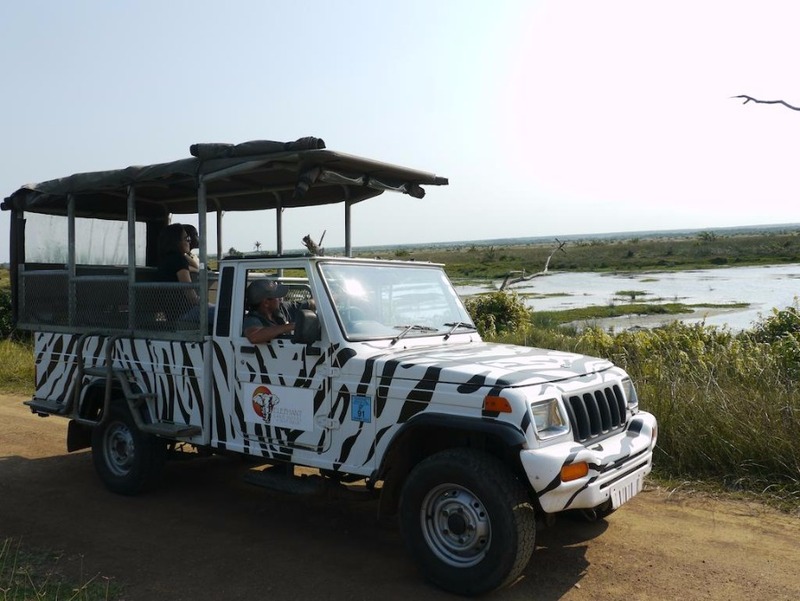 BIG 5 Game Drives in Hluhluwe/Umfolozi Game Reserve. 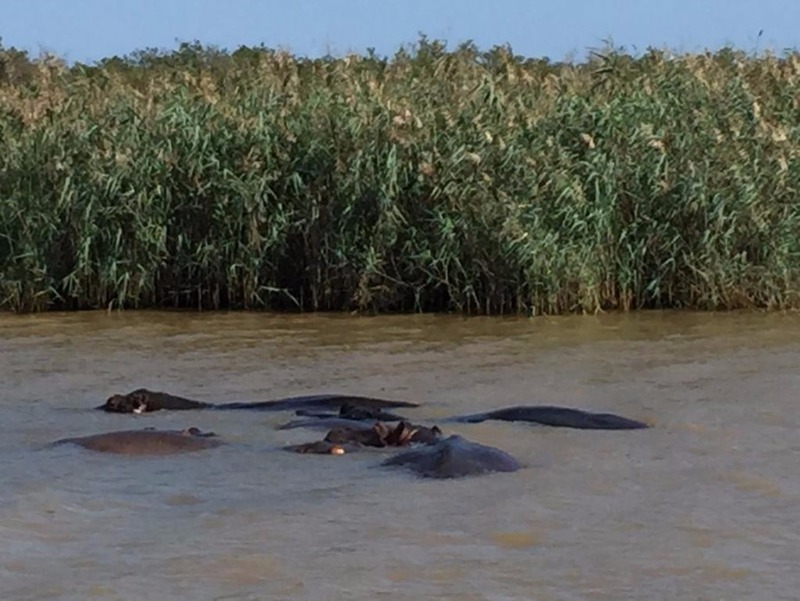 Boat Cruise on the St Lucia Estuary, world renowned for the excellent Hippo, Crocodile and bird viewing. 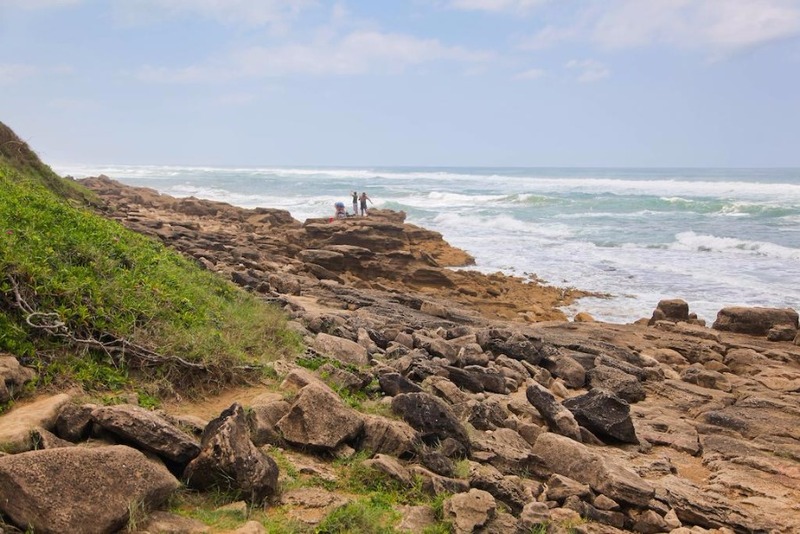 Guests can also enjoy a day on the unspoilt beaches, swim in the warm waters of the Indian Ocean or just simply stroll through town exploring all the interesting shops, restaurants arts and crafts on offer. 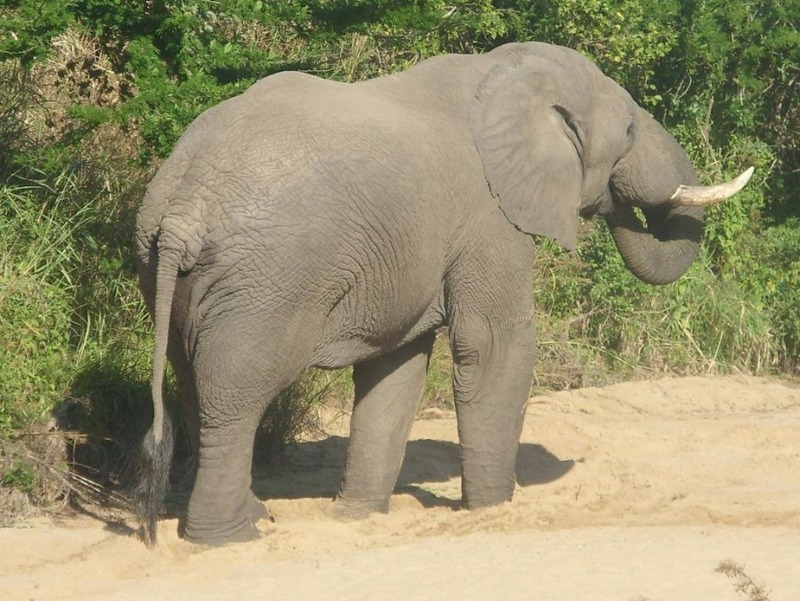 The Elephant Lake INN boasts 34 modern, en-suite, air-conditioned rooms. 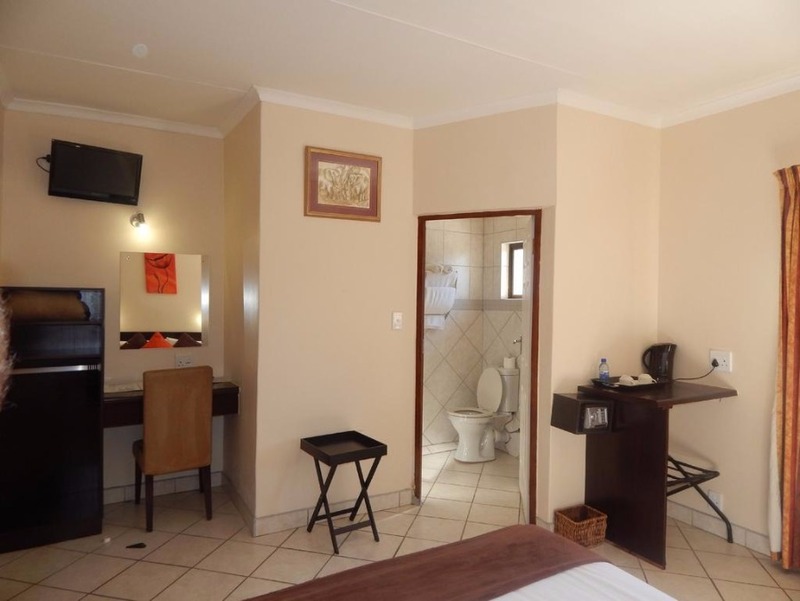 All rooms are equipped with flat screen TV’s and selected DSTV channels, tea/coffee making facilities, electronic wall safes; hair dryer and full range of bathroom amenities. The Inn has two levels. The ground level has 16 rooms, all with a private patio leading out to a sparkling pool, indigenous garden. 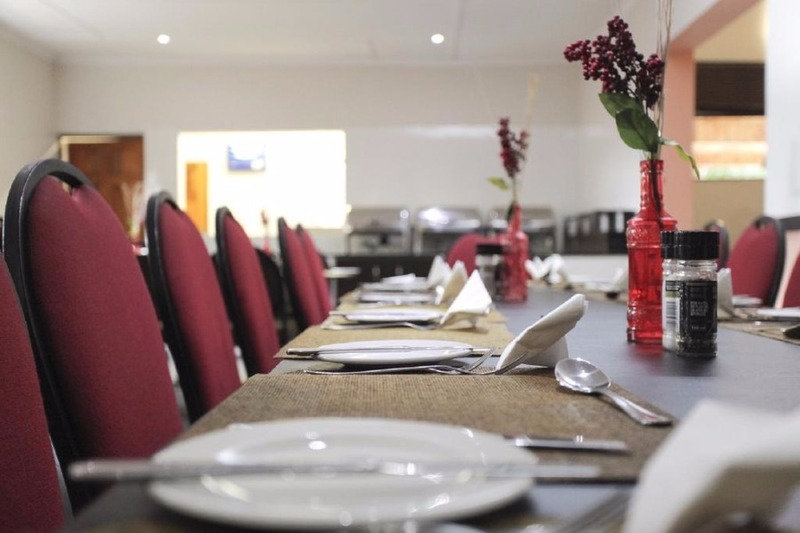 The Restaurant is open to residents only and serve breakfast from 07h00 – 09h30 daily.Dinners are served from 18h00 – 21h00 on Request Only. 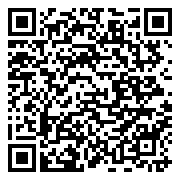 Traditional South African Braai Buffet dinners available subject to prior arrangement and advance booking. 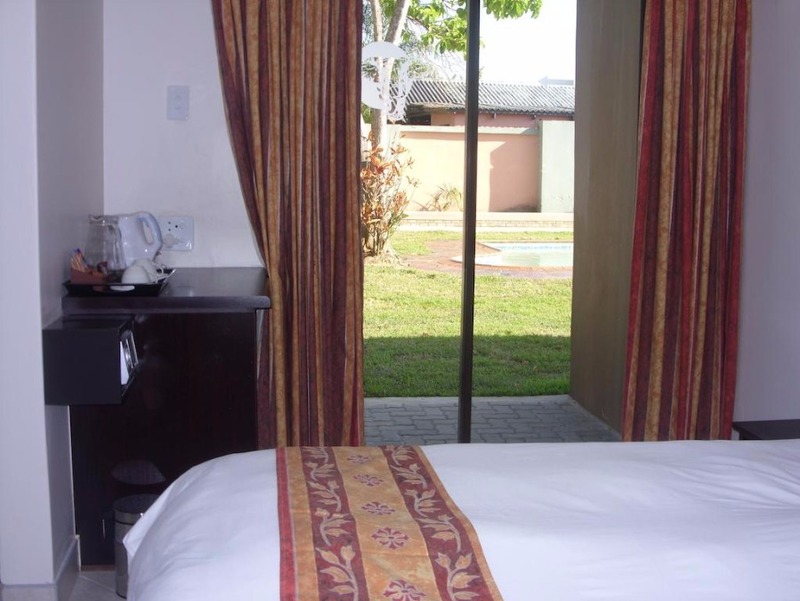 Room Single - The Inn boasts with 34 modern, en-suite, air-conditioned rooms. 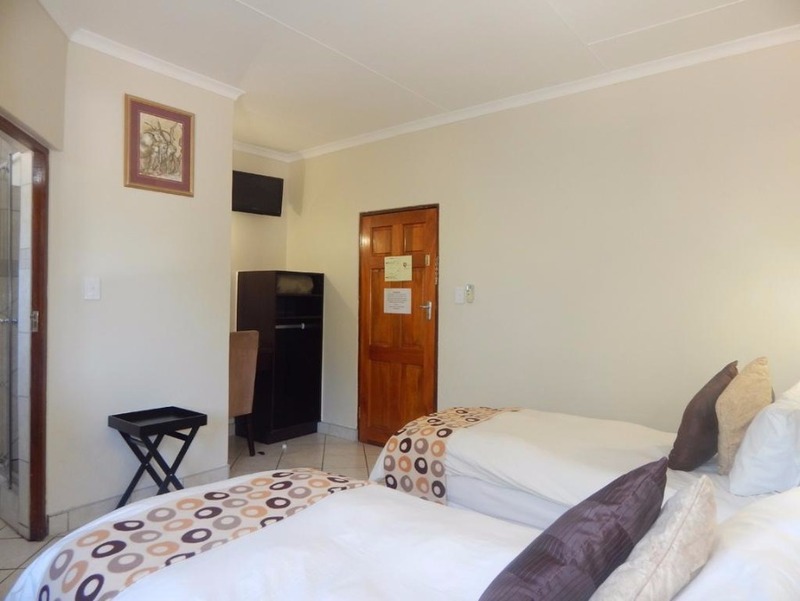 All rooms are equipped with flat screen TV’s and selected DSTV channels, tea/coffee making facilities, electronic wall safes; hair dryer and full range of bathroom amenities. The Inn boasts with 34 modern, en-suite, air-conditioned rooms. 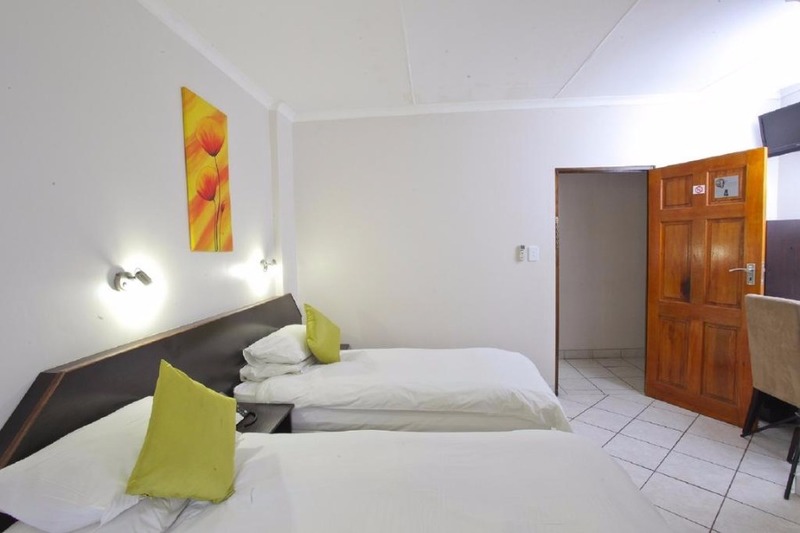 All rooms are equipped with flat screen TV’s and selected DSTV channels, tea/coffee making facilities, electronic wall safes; hair dryer and full range of bathroom amenities. 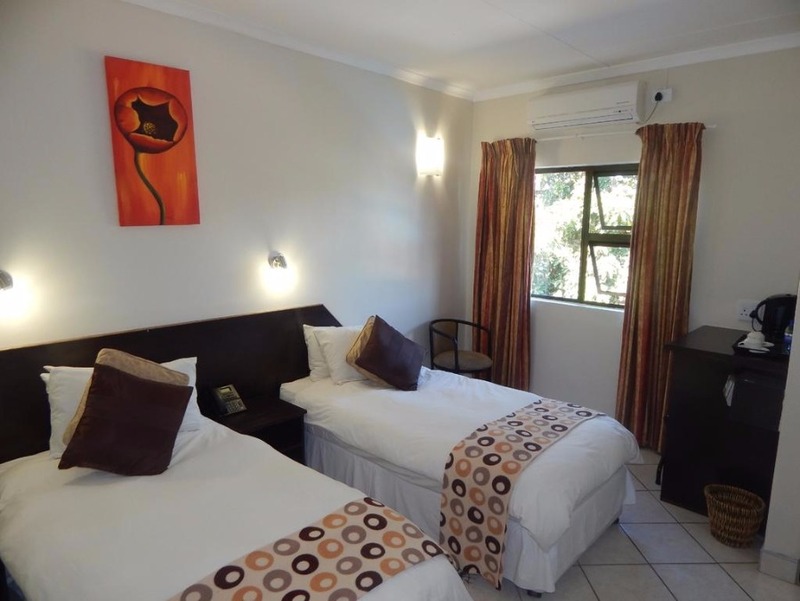 Room Double - The Inn boasts with 34 modern, en-suite, air-conditioned rooms. 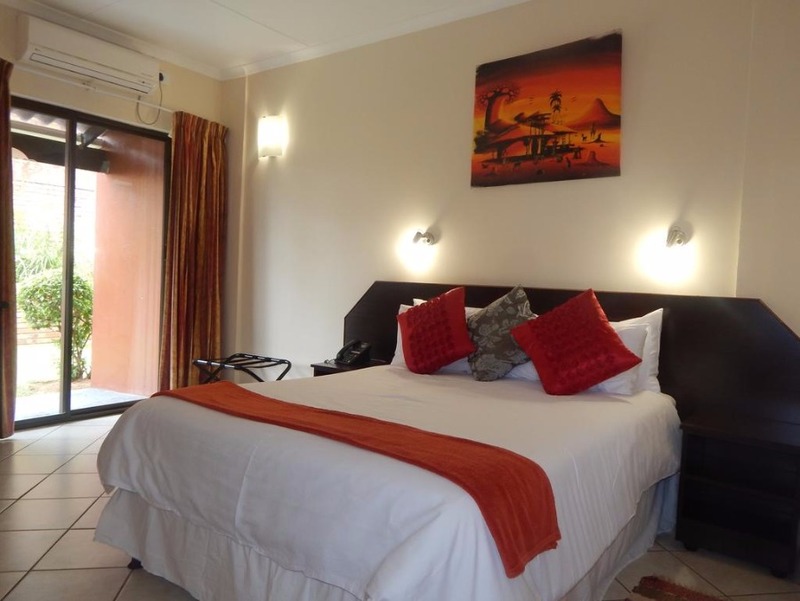 All rooms are equipped with flat screen TV’s and selected DSTV channels, tea/coffee making facilities, electronic wall safes; hair dryer and full range of bathroom amenities. Room Single - The Inn has two levels. 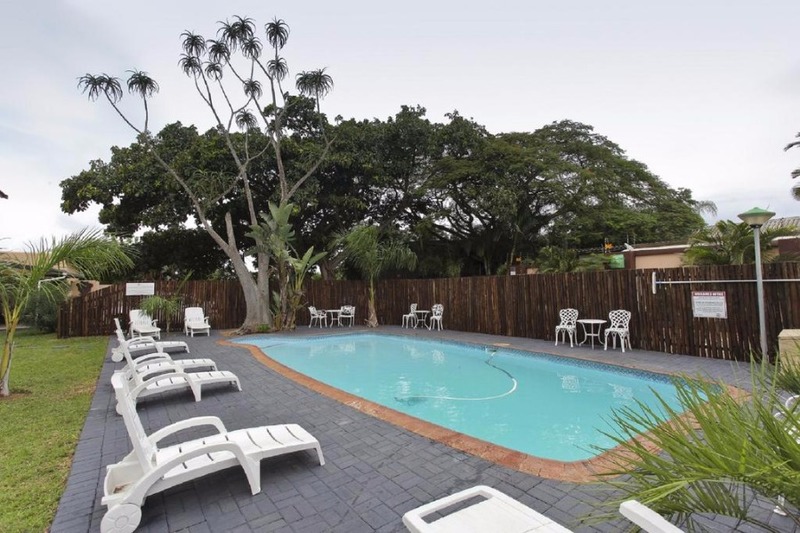 The ground level has 16 rooms, all with a private patio leading out to a sparkling pool and indigenous garden, an outdoor Breakfast Lapa and braai area. The Upper level has 18 rooms overlooking the pool and indigenous garden. Individual braai’s are available for guest private use. The Inn has two levels. The ground level has 16 rooms, all with a private patio leading out to a sparkling pool and indigenous garden, an outdoor Breakfast Lapa and braai area. The Upper level has 18 rooms overlooking the pool and indigenous garden. Individual braai’s are available for guest private use. Room Double - The Inn has two levels. The ground level has 16 rooms, all with a private patio leading out to a sparkling pool and indigenous garden, an outdoor Breakfast Lapa and braai area. The Upper level has 18 rooms overlooking the pool and indigenous garden. Individual braai’s are available for guest private use.